Database is a must have requirement of every type of Business systems, weather it is for customers, accounting or product. In order to create these databases the most common database system is Microsoft’s SQL Server. Due to its robustness and dynamic system facilities, it is a highly popular solution to manage a company’s business system. A business database itself includes valuable data as it is a result of months hard work. What if this database becomes inaccessible due to multiple causes, and lead to a situation of data loss. Therefore, it is important to know about a reliable solution that can restore even the slightest part of database. Specialized SQL recovery tools are designed to perform SQL recoveries, therefore, they are highly in demands. 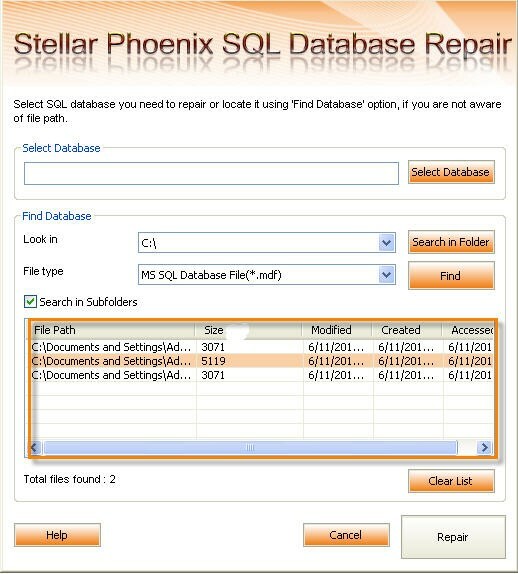 Stellar Phoenix SQL Database Repair is one of a SQL database repair tool that gives the assurance of data recovery from damaged or corrupt SQL databases. This review is about Stellar Phoenix SQL Database Repair product and its heights and short comings! Disclaimer: This is not a paid review, and reflects my own experience while working with the product. 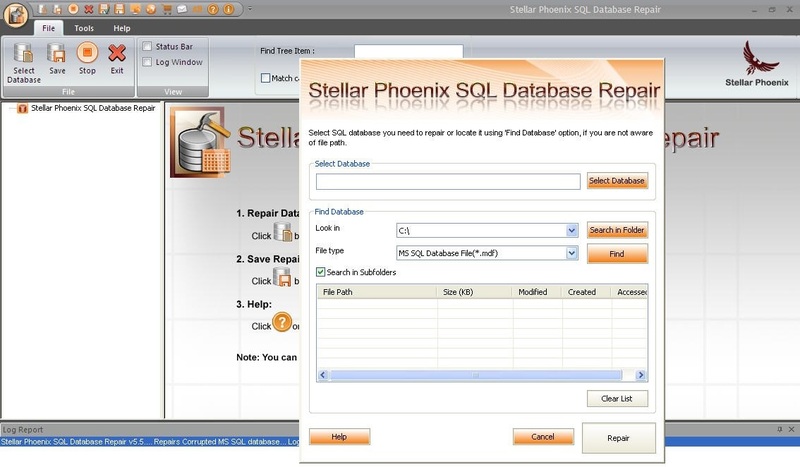 Stellar Phoenix SQL Database Repair is a popular product that claims to recover SQL database from all disaster scenarios. To check the higher promises of the product I have decided to check its accuracy and capabilities on one of my corrupt SQL server database, which is actually very large and highly important for me. Minimum system requirements for this recovery software are very normal as it needs A Pentium class processor, 1 GB of RAM, and 50 MB free disk space to be installed. This recovery tool is compatible with all the versions of SQL server, from MS SQL Server 7.0 to 2014, and all the versions of Windows operating systems, from Windows XP to 8 along with Windows Server 2003, 2008 and 2012. When I have decided to test this product, I don’t need to setup a new system as all my system configurations fulfills all the requirements. One special quality I have noticed in this recovery application is; it automatically reconnects to the MS SQL server, in case of any disruption during the repair process to run the recovery smoothly. Within few clicks you will be able to install the software on your machine. After successful installation, the main interface will show multiple menus and buttons to access various features of the software. Additionally, these various options can also be accessed through Quick Access Toolbar that is available at the top of the user interface, and can be customized accordingly. In order to choose the database, you need to click on Select Database button and choose a MDF file that needs to be repaired and click ‘Repair’ to initiate the repair. In case the location of your database file is unknown, Stellar Phoenix SQL Database Repair also avails you Find Database option that can find MDF file that you want to repair from selected drive and folder. After successful search, you will be able to see the list MS SQL Database files found in the selected drive or folder on the main window. Now, select the file from available list that needs to be repaired and select ‘Repair’ button to initiate repair. After successful completion, the left pane of windows displays list of repaired items along with Table, View, Synonyms, Defaults, Data Types, etc. in a tree format. The upper right pane displayed the content of selected items and the bottom pane displayed message log. You need to click on the item to preview the content of the listed items. This software has a special feature that it counts all the records after successful repair. Although, this is an optional feature, but still worth for some users. To count my repaired records it took a good time, as the database contained a large number of items, it could be less for you if your database count is less. To save the repaired files, just select the Save option available in the File menu. You could also finish this saving task by selecting ‘Save’ button from Quick Access Toolbar. The software asks you to Enter Server / Instance Name and choose a desired destination to save the repaired MDF file. Now, select the Connect button to save the repaired MS SQL Database file. Make sure your SQL server is running during the repair process. I had a good experience with the software as it is easy to use and can quickly connect with the server. Here are some special features that will make your process much easier. After successful scan Stellar Phoenix SQL Database Repair allows you to find particular item(s) in tree view. You could use search bar available on the preview window along with two options and will give accuracy to your search. This SQL database recovery tool can perform selective recovery of your database objects. You could choose to select specific objects that need to be recovered from the list and save them in your desired location. 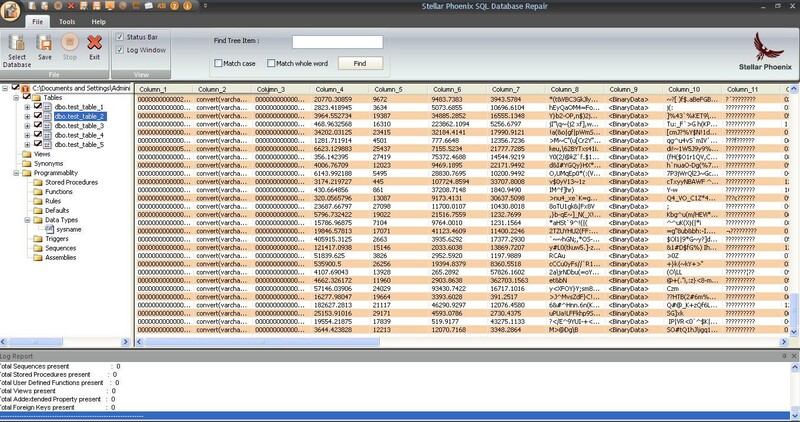 Being developed by a reputed company (Stellar Data Recovery), Stellar Phoenix SQL Database Repair is genuinely a good software and after testing its complete modules I can say that it recovers all the objects of database along with multiple components, like Indexes, Views, Rules, User Defined Functions, Tables, Triggers, Stored Procedures, etc. It repaired my MDF and NDF files along with XML indexes and data types. After using this product I can surely recommend this tool to SQL professionals who are looking for a tool that can help them in their disaster time. Although, the software is quite slow and will make you wait, but it will be worth when it displays the complete database which was inaccessible. Thanks for saving my data. The updated backup was not available and I know, this is very shameful for a DBA. The software, which you reviewed here, helped me to repair my corrupt database. Manoj, I am using this tool from last 3 years through some version upgrades. It has repaired several corrupt SQL database files for my clients. But if I got error message then I simply start with DBCC CHECKDB with suitable repair levels. Now it’s working fine ! The information shared bu you is very nice. After reading you blog i thought that this blog post can be helpful for the audience visiting your blog. http://www.mssqlrepair.org/restore-database-with-corrupted-mdf-file.html visit this blog and explore the solution. Thanks Manoj for reviewing the SQL recovery software! Fortunately I have never had this kind of experience regarding any data recovery tool, but it is very pleasure to know that there are some tool available in the market that can recover the database from corrupt file.